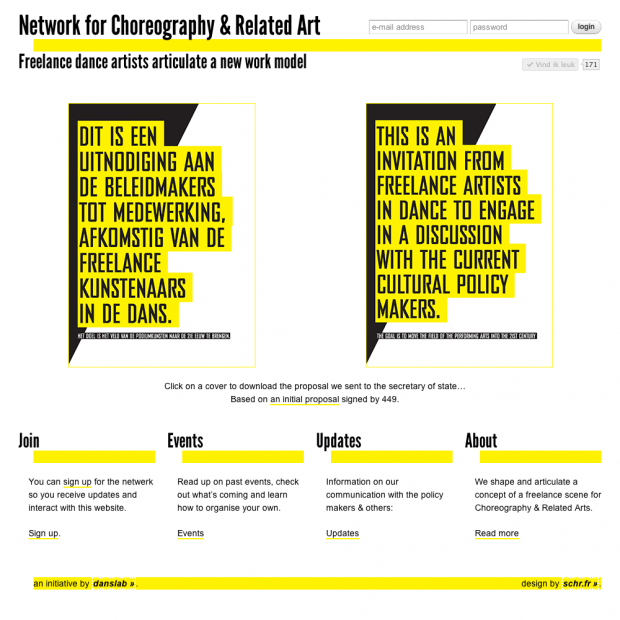 For the Network for Choreography & Related art schr.fr created a visual identity. We produced a website and e-mail templates. The network exists so that free lance dance artists can have a say in the discussions affecting the arts right now. We have been expanding the site as the concept for the network has been evolving: As the network grows, the site can take on more social features.